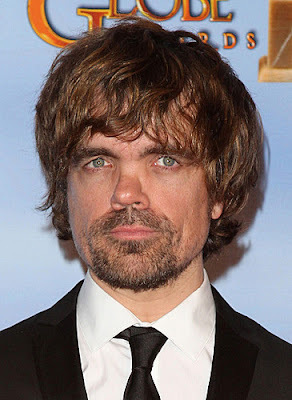 As fans of the hit HBO series Game of Thrones eagerly await Sunday night’s season finale surprises, the show’s breakout star, Peter Dinklage, is already gearing up for his next challenge: speaking up for farm animals as national spokesperson for Farm Sanctuary’s Walk for Farm Animals. The actor, who has been vegetarian since he was 16, has filmed an exclusive new video (watch it here) to promote this series of fun, community-focused events aimed at changing the way society views and treats farm animals. The Walks will take place in more than 35 North American cities this Fall, as well as virtually. The 68th annual THEATRE WORLD AWARDS, which will take place on Tuesday, June 5th at 2 pm at The Belasco Theatre, 111 West 44th Street, NYC., will include special performances by Broadway favorites Brian Stokes Mitchell, Howard McGillin and Stephanie Umoh. 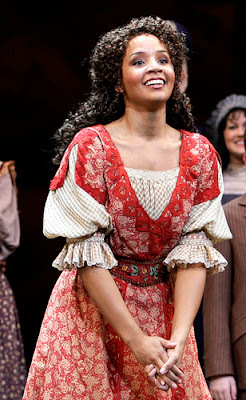 The by-invitation-only ceremony will present Theatre World Awards to 12 actors for their Outstanding Broadway or Off-Broadway Debut Performances during the 2011-2012 theatrical season. The event also includes presentation of the 4th Annual Dorothy Loudon Award for Excellence. This year The Theatre World Awards will have ASL interpretation. 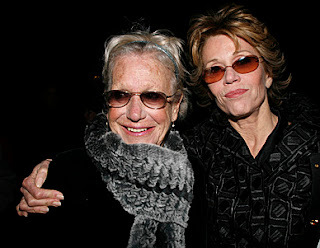 The 2012 TWA presenters will include Theatre World Award winners John Cullum, Victor Garber, Josh Grisetti, Leslie Uggams, Tony Sheldon, David Alan Grier, John Rubinstein, Wesley Taylor and Lizbeth Mackay (with more presenters to be announced). On Thursday June 7, 2012, the League of Professional Theatre Women (LPTW), a non-profit organization committed to promoting visibility and increasing opportunities for women in the professional theatre, is pleased to recognize the talents of two outstanding women: the LPTW Lucille Lortel Award and accompanying grant will be presented to Rachel Reiner, Artistic Director of Resonance Theatre; and the Ruth Morley Design Award will be given to Tony Award-winning scenic designer Ann Roth. These awards will be presented at the League’s 2012 Awards Luncheon, featuring special guest, Tony Nominee Elizabeth A. Davis, to be held from 12:00 – 2:00 p.m. on Thursday, June 7 at Sardi’s Restaurant (Sardi’s Restaurant is located at 234 West 44th Street, and the event will be held in the Eugenia Room on the 4th floor). 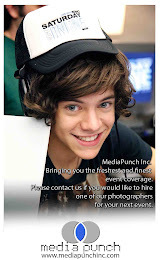 Tickets (and photos) are available HERE. 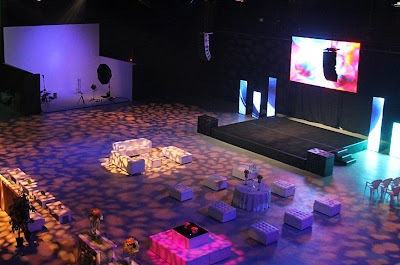 Long Island’s premier multimedia production and event venue is East Hampton Studio! Owner Michael Wudyka recently partnered with top event companies to offer the best all-in-one production services from leaders in the industry including: Empire Entertainment Incorporated, industry leader in promoting and producing headline concerts and events; BML Blackbird, full-service lighting video production service company; Ocean Productions, in-house production management and state-of-the-art sound service experts; Carlyle Off The Green, the premier caterer on Long Island; WVVH-TV Hamptons Television, reaching five million homes from New York to Montauk; Splashlight, top video and photography production services; In The Mixx, in-house TV and web series with exclusive coverage on celebrities, fashion, and events; and Enclave Inn, the premier Hamptons hotel with four locations. Laura Croft was snapped hosting the bikini contest at Pleasure Pool at Planet Hollywood in Las Vegas, Nevada the other day. Sky Blu and Miss USA 2011 Alyssa Campanella pictured as SKY BLU kicks off his residency party, 'Who Came To Party?!" at Pure Nightlcub iin Las Vegas, NEVADA. Iconic show “Dallas” is back in full force this summer, and so are its original stars! AARP The Magazine recently sat down with June/July cover stars Patrick Duffy, Larry Hagman, and Linda Gray, to discuss the old days as J.R., Bobby, and Sue Ellen, the new show, and what it’s like to return to the famed Ewing ranch! Also, see below for a link to some exclusive behind the scenes shoot shenanigans! “The fun is just beginning." "Let's be honest," says Duffy. "The only reason Dallas is being done now is because they can get J. R. back on the air. That character is as iconic as the ranch itself." "My theory," says Hagman, "is that everybody has a jerk like J.R. in the family, and they can identify with that." Chicago is known not only for crooked politicians but also for a section on prestigious north Michigan Avenue known as the Magnificent Mile. The 12 block stretch contains the city’s largest shopping district with approximately 3,100,000 sq. ft. of retails shops (460 stores), 275 restaurants, 51 hotels and many cultural attractions. It is estimated that approximately 22,000,000 people visit the area annually. To paraphrase bank robber Willie Sutton, “That’s where the money is.” So besides shoppers and tourists, the area is a Mecca for panhandlers. But are they allowed to beg there? Is it their space also? I have had the week from hell with Verizon. After a wonderful trip to Dune Point Fire Island, I headed back to NYC. My Internet then went out in Times Square. I left RCN who labels themselves as the Communications Giant of the world because their Internet kept going out. Hundreds of times. I had tech guys here so many times for RCN, and the last straw with them was when their so-called tech guys were here three times in one month for the Internet and when my new bill came, they raised my rates. Not just a little, a huge rate increase. 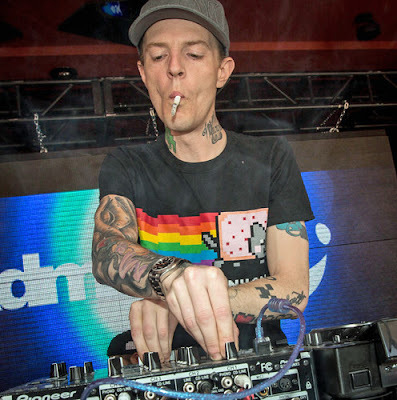 Joel Zimmerman AKA DEADMAU5 performs at Encore Beach Club at Encore at Wynn Las Vegas in Nevada. Walter McBride got a sneak peak at the 'Triassic Parq The Musical' Rehearsal at the CAP21 Studios in New York City the other day. Photo By: Walter McBride / WM Photography / Retna Ltd.
City Parks Foundation (CPF) is pleased to announce the SummerStage Gala, an annual fundraising event that supports CPF’s free year-round arts programming. 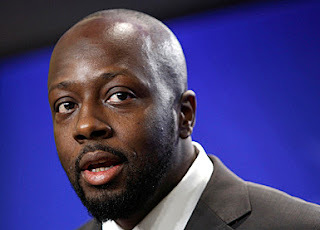 The SummerStage Gala will take place held at Rumsey Playfield on Tuesday, June 5, 2012. This special event will pay tribute to The Music of Jimi Hendrix, featuring the legendary guitarist and musician’s songs as performed by an eclectic group of well established musical legends and up and coming stars. Featuring an intriguing mix of soul, funk, bossa nova, jazz and folk singers, this unique night of performances is sure to thrill with unique interpretations of numerous classics from Jimi Hendrix’s famed catalogue of songs. 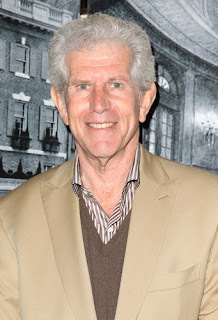 The performance component of the gala is produced by Michael Dorf, who has successfully produced a series of similar tribute concerts at Carnegie Hall over the past decade. A new addition to the contemporary wine bar scene, showcases its comprehensive selection using dramatic wine walls resembling a wine cellar and displaying nearly 1,500 varieties of wines from around the world. This new downtown wine haven located on the ground floor of the Gwathmey Siegel apartment complex at 26 Astor Place, features exotic cheeses, charcuterie, foie gras and an assortment of amazing desserts and chocolates sourced from some of the best purveyors in the New York City metro area including D’Artagan, Murray’s Cheese, and Bouchon Bakery. 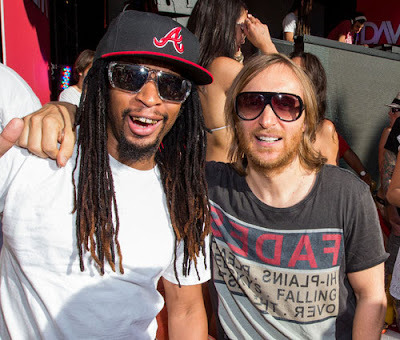 Lil' Jon and David Guetta pictured as David Guetta performed at Encore Beach Club in Encore at Wynn Las Vegas in Las Vegas, Nevada. 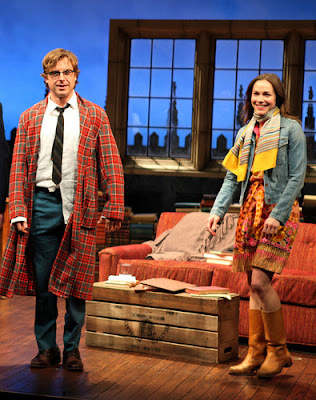 The stars were snapped during the Opening Night Curtain Call for The Roundabout Theatre Company's Off-Broadway Production of 'The Common Pursuit' at the Laura Pels Theatre in New York City. 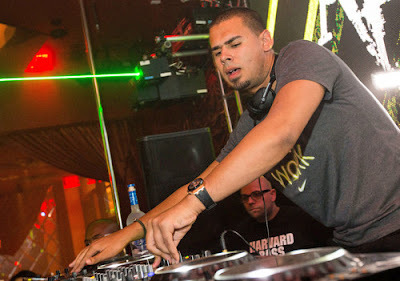 Afrojack performed at Surrender Nightclub at the Encore at Wynn Las Vegas in Las Vegas, Nevada. This holiday weekend is hot in Sin City! The Drama Desk Awards are thrilled to announce the lineup of presenters for this year’s awards ceremony, hosted by Brooke Shields and Drama Desk winner Brian d'Arcy James. The presenters represent many different aspects of the New York theater community including Broadway royalty: Angela Lansbury, James Earl Jones, Bernadette Peters; award winning dramatists: Doug Wright and Rick Elice; legendary composers: Maury Yeston, William Finn; heralded directors: Roger Rees, Alex Timbers; celebrated designers: Peggy Eisenhauer; revered orchestrators: Jonathan Tunick; valued members of the New York theater scene: Oskar Eustis, Jenny Gersten; and, of course, popular performers: Martha Plimpton, John Larroquette, Julie Halston. The 57th Annual Drama Desk Awards will take place on Sunday, June 3, 2012 at 8PM at The Town Hall. Superstar actress Julianna Margulies wore a custom Reed Krakoff gown to the premiere of "Cosmopolis" at the 65th Annual Cannes Film Festival the other evening. This actress really knows how to light up a red carpet! 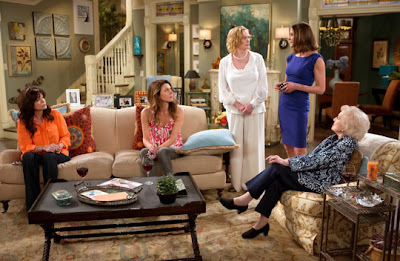 When Victoria (Wendie Malick) wants to turn her canceled soap opera into an app, she has to get the series creator, Apryl (Cybill Shepherd)on board. 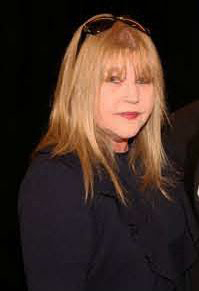 They enlist the cast, including the actor who played Honor St. Raven’s ex-husband (Barry Bostwick), to film a new episode picking up where the finale left off. The Little Helen Hayes Theatre Celebrated 100 years at a Reception at Sardi's in New York City yesterday. The famed theatre was named for the actress Helen Hayes. Tamar and Trina Braxton (“Braxton Family Values”), Anthony Anderson (“Law & Order”), Sherri Shepherd (“The View”), Robert Forster (“Jackie Brown”) and Kim Coles (“Living Single”) will guest star on the first season of TV Land’s new series “The Soul Man,” starring Cedric “The Entertainer” and Niecy Nash, premiering Wednesday, June 20 at 10pm ET/PT on TV Land. Anthony Anderson has been tapped to appear this season as Sweet Brown, Boyce’s (Cedric) old music-writing partner. Brown visits St. Louis to help Boyce get over his writer’s block for an upcoming sermon, but ends up pulling Boyce back into his old R&B star habits. 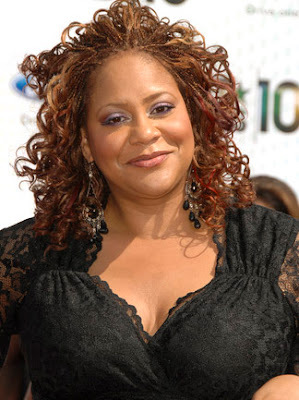 Shepherd will guest star as Sherie, Lolli’s (Nash) cousin who is always up to no good. Trina and Tamar Braxton will play Rose and Catherine Pinkney, sisters who audition for the church choir only to find out that they are both dating Stamps (Wesley Johnathan), Boyce’s handsome younger brother. Coinciding with "New Era Thursdays" at the MLB Fan Cave, Nick Offerman (sporting new blond hair and goatee) dropped by the MLB Fan Cave in New York City Thursday. 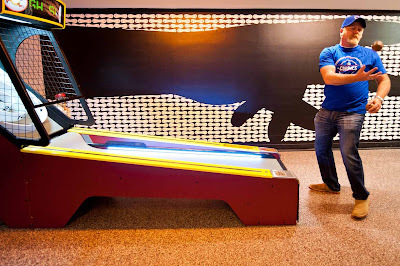 Offerman met the nine MLB Fan Cave Dwellers who are competing in a season-long series of challenges with one eventual winner crowned before the end of the 2012 World Series. Following his tour of the MLB Fan Cave, Offerman discussed his role in New Era's 2012 Rivals campaign. 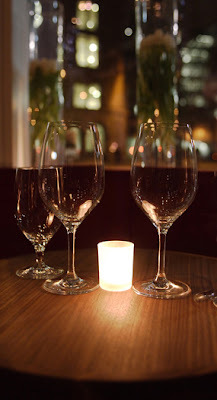 After successfully opening two Little Thai Kitchen restaurants in Connecticut and Dhaba, Chola and Bhojan in New York City, restaurateur Shiva Natarajan is has opened Singapura, in Murray Hill. The modern city-state of Singapore, is a melting pot of Thai, Chinese, Malaysian and Indian cultures and what both New York and Singapore have in common, besides their frenetic pace and diverse inhabitants, is their love for food. Located in New York City, at 106 Lexington Avenue, Singapura offers a little slice of Singapore in New York City. The cuisine in Singapore is as diverse as Singaporeans themselves, who are composed of four major races, which are further divided into many different subgroups based on geography, religion, and language. 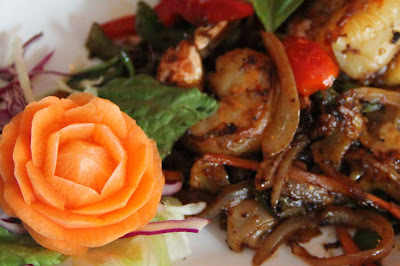 Thus, a Singaporean meal offers the unique possibility of enjoying great Malaysian, Hakka Chinese, Indian and Thai food - sometimes a combination of two or three cuisines in one meal itself. 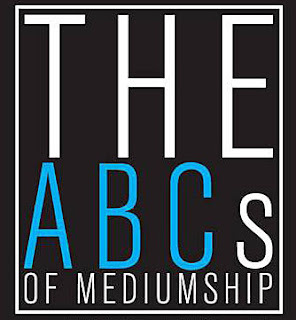 Psychic Medium and Clairvoyant Thomas John will teach a series of courses, The ABCs of Mediumship: Communicating with the Other Side, on June 5, 12, 19 & 26, from 6:30PM to 8:30PM at the Meta Center in New York City. Have you ever wondered what it would be like to communicate with the dead? Where have your loved ones gone after they passed? What messages they have for you? Then this is the course for you! 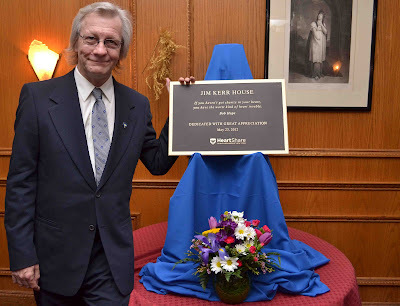 Q104.3, New York’s Classic Rock, announced today that its morning show host, Jim Kerr, was honored by HeartShare Human Services of New York during a house dedication ceremony on Wednesday, May 23, 2012. HeartShare, a nonprofit organization that provides residential services to individuals with developmental disabilities, will name one of its group homes for adults the Jim Kerr House.